"Destination CE was a RECORD BREAKING BLAST!" 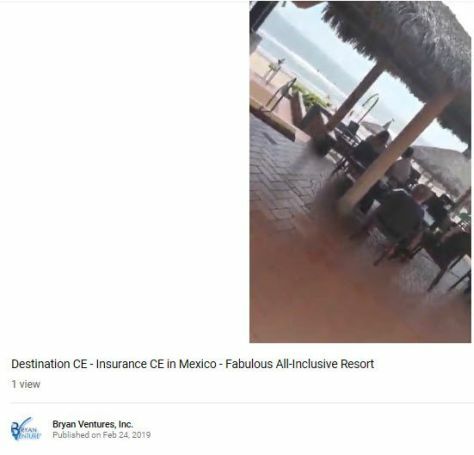 This blog highlights our DESTINATION CE insurance classes in sunny Mazatlan, Mexico. 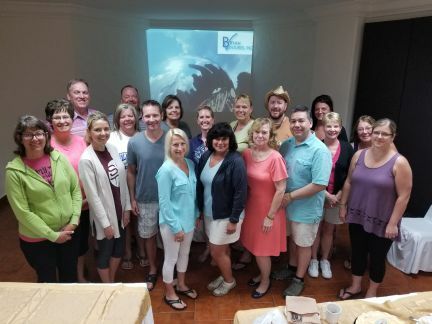 Our DESTINATION CE classes in sunny Mazatlan were a bigger hit than ever expected. As I sit here, attempting to type out and describe all of the wonderful things and connections we experienced, I am at a loss for words. The feelings about this experience are beyond description. Since I want to ensure you better understand this event, I'm going to give this my best shot. As I headed to the airport and stood in the ticketing lines, I had this overwhelming sense of both contentment and excitement. I knew this journey would offer myself and our agents a week to remember. While in line, as we past each other in the snake patterned line, I chatted with Barbara Wright-Quarton, a long time attendee at Bryan Ventures, and her neighbor, Marjorie, a wonderful woman I came to love throughout the days in Mazatlan. While discussing our excitement for the trip, the couple behind me introduced themselves. Matthew Seaton and his traveling companion, Wanda, had just booked under the special ticketing options we offered in January. 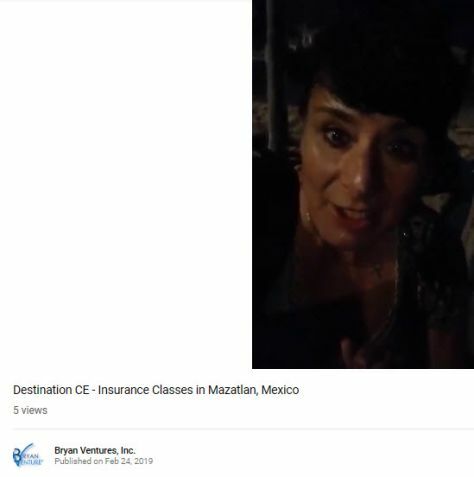 Matthew had NEVER attended our classes before, but the idea of insurance continuing education near a tropical beach in February was the tipping point to try a new vendor for his required insurance CE courses. That was just how it went through the entire trip. Making connections--some old, some new. 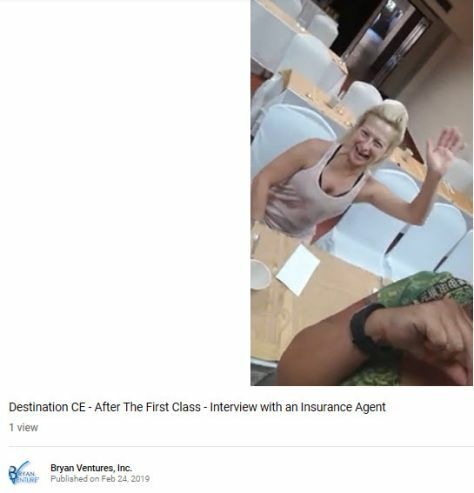 About half the insurance professionals in attendance have attended our classes before--many for years. The other half were brand new--driving in from Iowa, Wisconsin, and Northern Minnesota to attend. Nearly all plan to attend again. 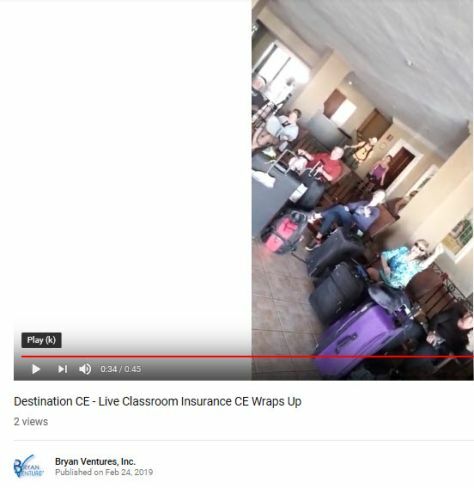 Some with an every other year method--attending the 16 hours of live classroom insurance CE that we offer at the all-inclusive resort and then picking up another 8 hours at a location in the states. Another crew plan to make this the way they will get all of their insurance CE for their remaining days in this business. As a result, going forward, we will offer a package to buy 8, 12, and 16 hours of insurance CE in Mexico. 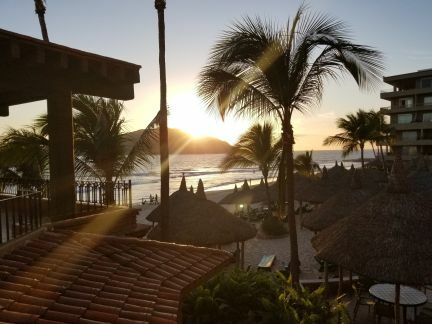 Chances are, we will go back to The Playa in Mazatlan. I simply cannot imagine we will find a better destination. They have the biggest chunk of prime beach along the shore and there is much to do in the area. Shopping, restaurants, and entertainment just steps outside the resort. The Playa is central at the Gold Coast so a taxi or Uber anywhere in the area is just a few dollars. The staff there was beyond awesome to our group. Our meeting room was fully stocked and the staff there beyond gracious. "This is it. The last class in Mexico! WOO HOO!" "I don't know if it is a "WOO HOO"! It's a BOO HOO." None of us wanted to leave--who would want to depart from a tropical resort to head north in February? But even more than that, the group really enjoyed class and hanging out together. It was, without question, a RECORD BREAKING BLAST that defies description. We had a party that day. One of the attendees was celebrating a birthday. Another couple renewed their wedding vows on the beach, and that was the group we had become. A bunch of random insurance people from the Midwest, cast upon the shores of the Pacific, who were real friends supporting, encouraging, and celebrating each other. To help define this for you, I created a few videos of our experience. Just click any of the four images below and you'll be redirected to YouTube. We'll be offering other ideas and descriptions in the coming months, but the only way you will really know what it is like to attend DESTINATION CE is to attend. Mark your calendar for the first few weeks in February 2020--we'll be booking two weeks next year. You can attend either one or both of you choose. Pricing will be available this summer or fall. Be sure to join us. I miss it so much. The transition to the cold was way easier than being separated from all the friendly faces who attended our classes in Mazatlan.